President Trump tweeted Thursday that the U.S. "will impose large sanctions on Turkey for their long time detainment of Pastor Andrew Brunson," and once again called for Brunson's immediate release. 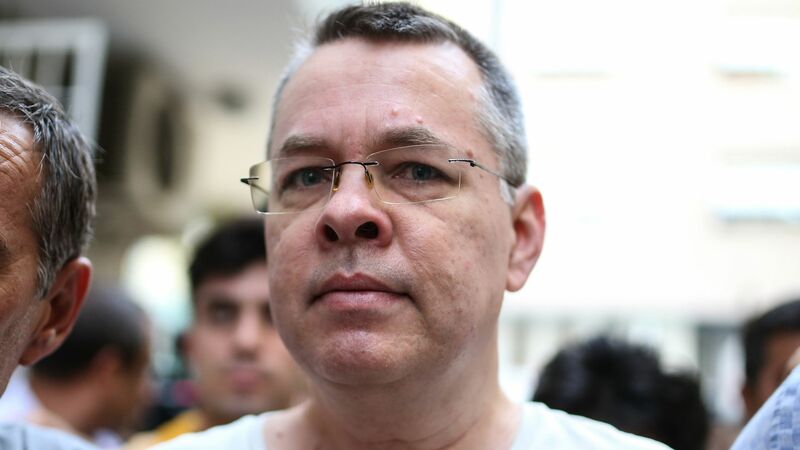 The backstory: Brunson was detained after the 2016 failed coup against Turkish President Recep Tayyip Erdoğan. He was released from prison yesterday but remains under house arrest, facing terrorism and espionage charges, which he vehemently denies. His detention is a further point of contention with Erdoğan — with whom Trump had personally been friendly despite his increasingly authoritarian behavior.